The holidays are a time of relaxation, laughter, good eating, and family endeavors. After they end, a new nightmare begins; how in the mistletoe did I have my decorations organized?!?! To create a wrap on the end of the holiday cleanup, try some of these creative ways for quick organization and space saving! For space saving and easy searching try a wall mounted plastic bag dispenser for all year use. For the once a year paper, like holiday paper, a clear garment bag will keep the paper high and dry, organized, and out of the way. There is nothing more frustrating then having strand lights tangled. Then once they are untangled, the broken and missing blubs only add to the decorating headache. To prevent this, and save space from the scary bin of lights, try wrapping lights on pieces of cardboard or thick poster board. This keeps everything nice and tidy. Filling the cardboard in a bin or other storage device keeps them easy to retrieve for the next holiday. Stacking wreaths only smashes them into an unsighly mess that looks like the extra lawn clippings left out by the curb. 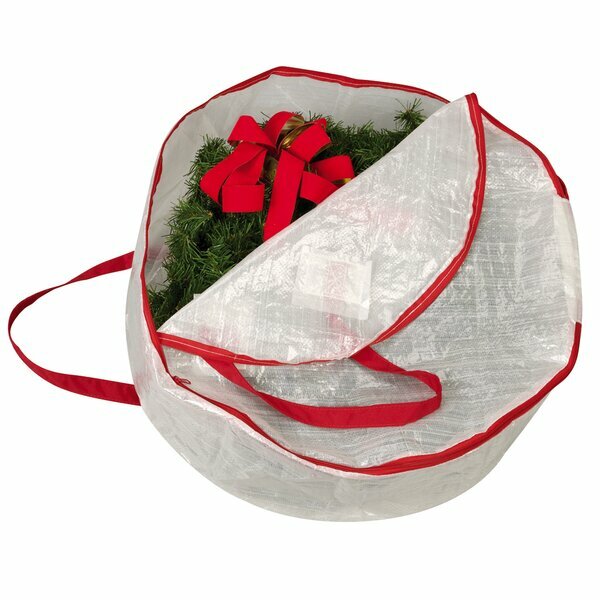 The best way to store wreaths is to hang them in a wreath bag. 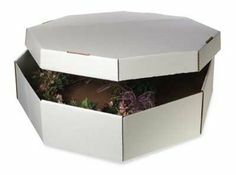 If there is ample amount of storage, an old hat box is another great solution. Both of these ways prevent mashing, the ability for potential critters to get in, and make them easy to get out for the next season. The best way to store and organize ornaments is either the common ornament bins that are divided, however for small ornaments and other small decorations, egg cartons work just as well. They provide individual pockets, protecting the item and are able to be stacked for space saving. For larger pieces try red plastic cups. Beaded Garland is a staple for most Christmas trees, however it becomes a tangled mess when it is left with trees, wreaths, and bows when it is put away. To prevent the time consuming irritation of untangling, put it in an old water bottle. The bottle acts like a sealed capstle that keeps it nice and neat. The staple Christmas decoration is the Christmas Tree. It is beautiful, timeless, and inviting....when it is up. Trying to find the best way to store it has been causing headaches in households for years. To help keep things clean and fresh and away from potential critters, try a tree storage container.